Happy new year, and we want to start your new year with a sweet note from the company you love! Today we are introducing our brand new Eventbee Referral Program. Refer your friends to Eventbee, and earn 15% of revenues we generate in the first year from your referral(s) as your commission! Wait, we have a special introductory bonus too. If your referral has a paid event by February 28th, you will be credited $100 on your next event. 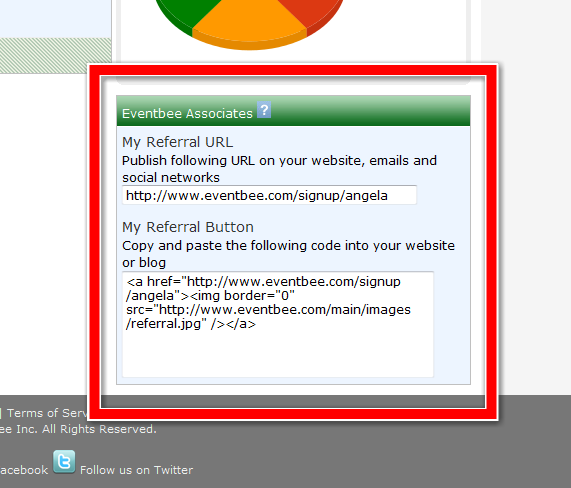 As an Eventbee customer, you already have a Referral URL/Button code in your account. Follow these steps to get them. We will do a 12 month accounting on your referral(s) and contact you with payment details. How can I apply the $100 introductory bonus on my event? Your $100 credit is valid on any event that is ticketed before June 30th, please email us at support@eventbee.com and let us know on which event you would like to apply the credit. Note, credit is valid only for one event! How can I make my friends sign up for Eventbee? Next Post Hosting common good events? We would like to reward you with a 25% giveback!